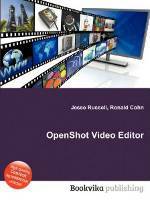 This tutorial covers the use of the OpenShot non-linear video editor as used on Linux. This is the clear winner for simple video editing that anyone can understand. Also see our comprehensive list of Linux video editors. Generate a "Project": "File" + "New Project"
Choose the folder in which all work related files will be located. Choose a "profile". This is the final format you wish to release a video in: NTSC, PAL, HD, etc. Add video clips to your project. Select the "+" graphic or "File" + "Import Files". Add titles (text to be displayed on the video whether by itself or super imposed) regardless of when you will be using them: Title + "New Title" The type of title can be chosen: Header, Footer, Standard, etc. The suffix 1, 2, 3, etc refers to various predefined locations for the given title type. Select "Create new Title" to define the file name and the actual title to be displayed. Select the font color. It is not enough to just select the color but you MUST select "Ok" or it is not saved. Drag and drop the video clips and titles onto "Track 1". 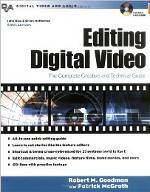 This is for videos and title clips which are to be displayed in a sequence that you define. Right-click + "Properties" on any clip in the track to define the length of the clip (full length or reduced length. Fades at each end are defined here. Clips can be scaled to the full definition of the project here as well. This is important if mixing videos of various formats: HD, NTSC, etc. Titles which are to be superimposed onto the video must reside in a different trac: eg Track 2 The position is chosen to correspond to the timeline of the main track (eg. Track 1). When done select "File" + "Export Video". Name the output file (or take the default). Select the "Profile" + "All Formats". Choose your encoding (eg MPEG 4 h.264, MPEG 2, OGG, etc). Select the "Profile" + "Web". Choose your Target (eg. YouTube-HD) and Video Profile (eg. HDV 720 30p). This generates an MPEG 4 video. Play-head: The vertical red line which designates what is being previewed and the position in the timeline. Play-head can be moved using either the mouse or more precisely using the arrow keys. Snapping: Aligning the end of one video with the beginning of another. Turn on snapping (select "Snapping Tool" icon). Snap video clips in the same track or to the "play-head". arrows point to the left edge of the video clip they apply to. arrows point to the right edge of the video clip they apply to. Slow fade in and out. Fast fade in and out. [Potential Pitfall]: If OpenShot crashes and you find that it will not restart, logout and log back in to the system and you should be able to launch OpenShot once again. This is an annoying bug talked about on forums and message boards and this is the only solution I have found to the problem. The error is ambiguously stated as "The program ‘openshot’ received an X Window System error." Restart OpenShot and retry exporting the video. The best way to avoid a crash is to not get ahead of the software execution. Select your operation and then wait for it to process your selection before proceeding any further. OpenShot seems to create device contention when used with audio recorders, image editors and other video tools, thus avoid use with other tools which may cause conflict. Close any browser using flash. The Inkscape "Text Title" graphics have much more flexibility than the default built in text. To remove the white border around title text, use Inkscape and select the arrow to put you in selection mode. Select the text to alter. Select from the toolbar "Object" + "Fill and Stroke ..." (or hit "ctrl + shift + f") to bring up the "Fill and Stroke" menu. Select the "Stroke style" tab and set the width to 0.0. Position of the title is based on the default project format (NTSC). Go to "File" + "Save Project As..." and define the "Project Profile" before generating any titles. Typically HD 1080p format is chosen and this is significantly larger than NTSC and has a profound effect on the location of the title text. Titles should run long enough that they could be read three times. The left-right arrow keys will move the play-head a frame at time and is good for checking out intersections of cuts. I prefer to turn snapping on. Default is typically off. This allows you to align a video start with the end of another or to the play-head. Manual to the 3-D graphics and animation program Blender. Manual to the 3-D graphics and animation program Blender. This helps decipher the Blender interface. Help to develop skills to edit commercials, documentaries, feature films, and music videos; work with video, DVD, and Web-based media.